Welcome back to Medieval Monday! Today, I’m featuring the work of my dear friend, Mary Morgan. Our “First Encounter” theme continues, and we’ll get a peek at A Highland Moon Enchantment, A Tale from the Order of the Dragon Knights. Quickly mounting his own horse Desmond gave a curt nod to Alastair, and they proceeded to follow the lass. Silently approaching the area where the battle took place, Ailsa dismounted and crouched down behind a large pine. Tam stayed with the horses while Alastair and Desmond both scanned the area. Evidence of the battle lay strewn everywhere. Shields, swords, and dead men scattered across the ground. Yet, the enemy was nowhere to be seen. Fear reflected briefly in her features, but the lass quickly masked the emotion. Swallowing, she nodded. Releasing his hold, he watched as Alastair knelt and placed his hand upon the ground. Several moments passed before he stood and motioned them forward. 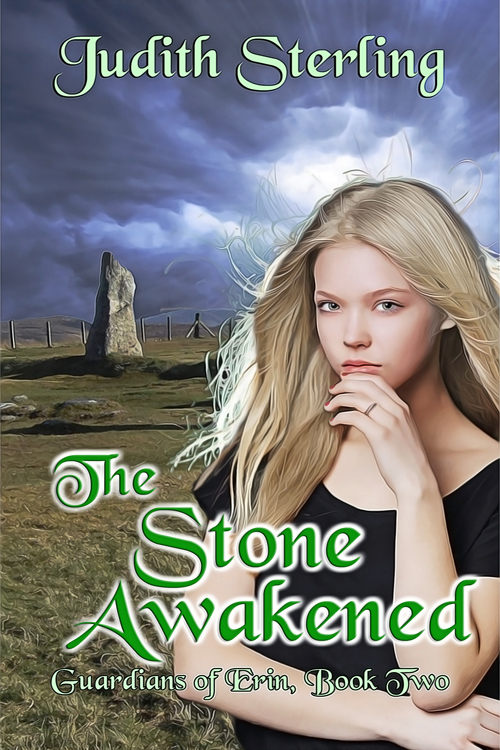 Making their way to the dead men, Ailsa ran toward an older man slumped against a boulder. Desmond was instantly at her side. Follow along next week on Cathy’s blog https://www.cathymacraeauthor.com/bits-n-bobs-author-blog and leave a comment for a chance to win a signed print copy of A Highland Moon Enchantment. 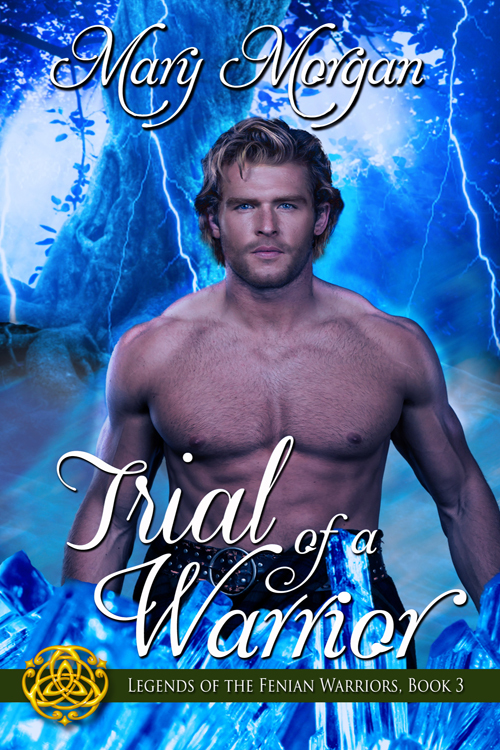 My dear friend, Mary Morgan, is here to celebrate tomorrow’s release of Trial of a Warrior, the third book in her Legends of the Fenian Warriors series. Yay! More Celtic mythology! You know about my Guardians of Erin series and the upcoming release of The Stone Awakened (Book 2). My love for Ireland runs deep, and Mary is definitely a kindred spirit in that respect! Let’s see what she has to say about her new release. What inspired you to write this book/series? Initially, you meet these warriors in my first series, Order of the Dragon Knights. I knew one day I would have to write each of their stories. With my warriors, there is nothing diminutive with these heroes. They’re ancient, extremely tall, and commanding. As always, it will take a strong woman to stand beside these ancient Fae. Absolutely! The Tuatha Dé Danann fascinate me too, which is why I’ve woven them into my young adult series. 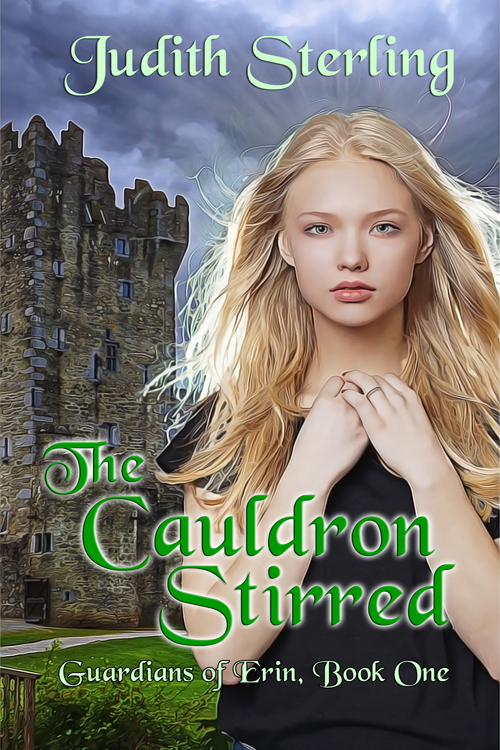 Dreams–or what appear to be dreams–play an important role in that saga, especially in the first book, The Cauldron Stirred. Speaking of dreams, have you encountered any of your characters in one? Yes, all of them! They’re usually speaking all at once, arguing over a specific plot. I never interfere, but tend to sit back and try to absorb the messages. Awesome! If you could give your hero a word of advice, what would it be? To always maintain his humor. Any advice for your heroine? Try to curb the stubbornness. In general, which do you enjoy writing more: description or dialogue? Both. I love the ebb and flow of describing a scene and then adding dialogue. So do I. What do you love most about being an author? The freedom to create stories. There’s always a tale to be told within my mind. I’m right there with you, Mary! Thanks so much for joining me today. I’m positive the new book will be a great success. Welcome back to Medieval Monday! 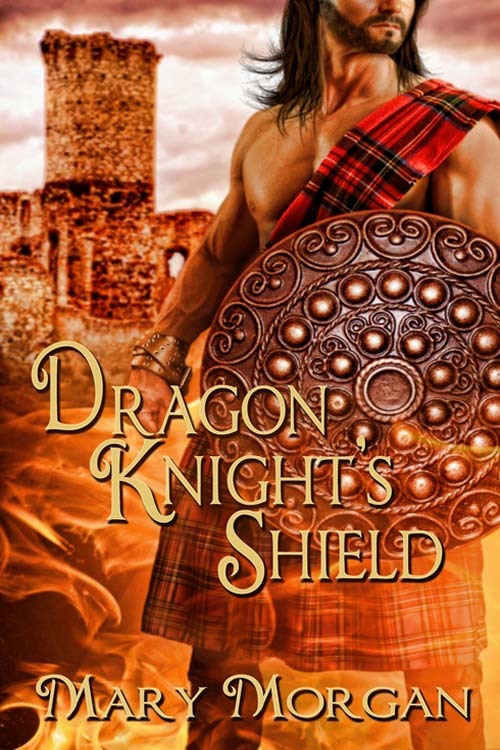 It’s Week Two of our “Family” theme, and I’m thrilled to feature my dear friend and award-winning author, Mary Morgan’s work, Dragon Knight’s Shield (Order of the Dragon Knights, Book Four). Don’t you love this cover?! Hearing the door closed, Angus slumped down against the stone wall. The druid’s visit left him raw with emotions. Hanging his head in his hands, he thought back to the night of Meggie’s death, shoving aside the vision of her lifeless body, he brought forth the image of the Guardian. Closing his eyes, he could see her in all her beauty and then she spoke. Across the sea, their destiny awaits. A love will meet through time and space. To right a wrong within this place. Beneath the gate to test your fate. Deirdre was sent to him across the veil of time. A test—one he had failed to see. For a chance to win a signed print copy of Dragon Knight’s Shield, please leave a comment. And don’t forget to visit Mary’s blog and comment on my snippet for a chance to win Flight of the Raven (or if you already have a copy, your choice of another of my books)! Welcome back to Medieval Monday! 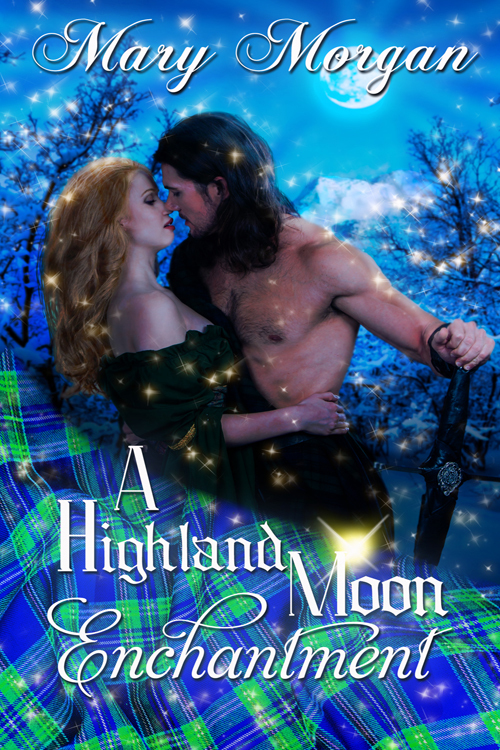 I’m thrilled to have Mary Morgan with me today, and I’m featuring her romance, A Highland Moon Enchantment. Her mouth went dry as she gazed into the man’s eyes. Desire teased her within his emerald depths. Ailsa finished her mead and attempted to eat some of her meal. He was correct. The apples were highly pleasing. Though the chicken and quail had become her favorite, it was the man next to her who she craved. Desmond’s hand brushed against her fingers, and she stole a glance at him. “Would ye care to honor me with a dance?” His smile was a moonbeam of promises yet to come. “Aye, Desmond.” Slipping her fingers into his, he tucked her hand into the crook of his arm and led her to where others were dancing. Follow along for the final installment next week on Mary’s blog: http://www.marymorganauthor.com and leave a comment for a chance to win a signed print copy of A Highland Moon Enchantment. See you next Monday, when I’ll feature the final snippet of my excerpt from Shadow of the Swan! It’s Medieval Monday and Week Thirteen of our “First Encounter” theme. I’m delighted to welcome the lovely and talented Mary Morgan today! Don’t you love this cover? Alastair’s fists were clenched by his sides. How did this mere wisp of a woman know his true name? Very few had heard of the Dragon Knights. What made her so special? She was nothing but a slave, possibly cast out by her own people. Or so he thought. He would get the truth out of her. She was now his. Bought and paid for. His anger simmered just below the surface, and he allowed his eyes to flash with the fire of the dragon. Hearing her gasp, he smiled. Good, little bird. Fear me. Without giving her time to react, he swept her up and dumped her over his left shoulder, and strode toward the ship. He heard her sharp intake of breath, and then she started to pound against his back. “Put…me down,” she demanded. And don’t forget to leave a comment for a chance to win a digital copy of the book! Alastair MacKay, a battled-scarred Dragon Knight flees to the sea to separate himself from his fae-given power connecting him to the land. But it is on land that he rescues a woman from a slave trader in Ireland. It is through Fiona he steps back inadvertently into a world filled with magic—taking on the role of protector and at the same time leading him on a journey to confront his greatest regret and fears. Research assistant, Fiona O’Quinlan loves translating ancient artifacts at Trinity College. When she falls asleep on an archeological dig, she awakens in another time. She soon discovers a Dragon Knight’s relic has been entrusted into her care. Determined to return the artifact to the Great Glen, Fiona is unprepared for the danger ahead—losing her heart and soul to Alastair “Beast” MacKay. Will their love be strong enough to soothe the beast and heal the man? Or will Death swing its axe, leaving them lost for all eternity? 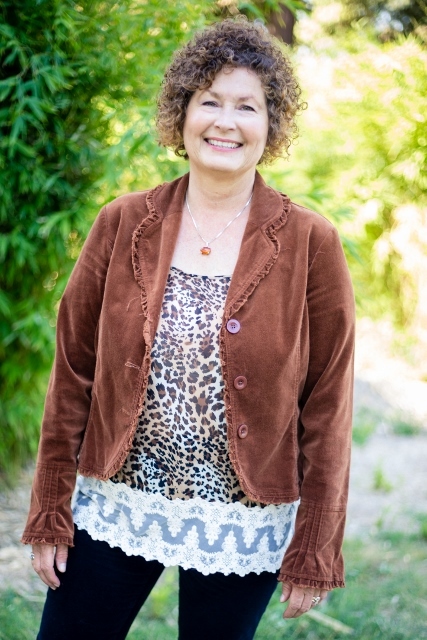 A warm welcome to Mary Morgan! 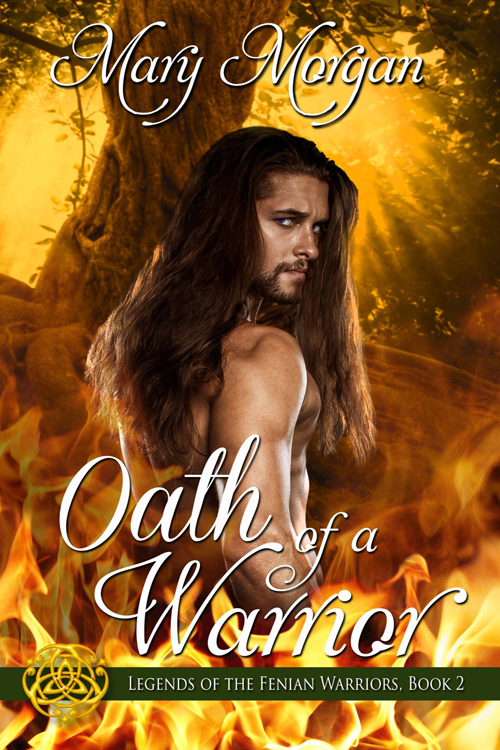 Congrats on your new release, Quest of a Warrior! It’s getting rave reviews, and I wish you great success with it. Now, let’s get this interview started! At what age did you write your first story? Around the age of ten. Prior to that, I was writing short poems about my pets. Which genre was the first to hook you? Historical Fiction. What’s your favorite part of the writing process? Brainstorming? Research? Outlining? Writing? Editing? Research and outlining the story. I’m obsessed with finding historical details—no matter how small—to fit into my stories. Those historical details are so important! I also love doing research and outlines for my books. What are you working on now? Currently, I have two projects. In pre-galley edits with a Dragon Knights novella, scheduled for release near the holidays. It’s centered around Fiona’s brother, Desmond O’Quinlan. Fiona is the heroine from Dragon Knight’s Axe, and you were introduced to all of her brothers in that story. In addition, I’m writing the second Fenian Warrior, Rory MacGregor’s story called Oath of a Warrior. Of all the settings you’ve used (or created!) for your books, which is your favorite? Why? Without a doubt, Urquhart Castle in Scotland! I’ve dreamt of this place for decades and was fortunate to explore the ruins this summer. I’ve always been drawn to the beauty and mystery of Urquhart and of course, Loch Ness. That day will remain etched within my soul. Very cool! If you could have a conversation with anyone—dead or alive—who would it be? The great Irish King, Brian Boru (941-1014) of Ireland. Brian led the Irish to the peak of their Golden Age—from poetry, arts, saints, and scholars. A remarkable man. I’ve long admired Brian Boru, too! If you could travel to any time and place, when and where would that be? Kensington Palace. June 20, 1837, the morning Victoria was told she had become queen. A pivotal point in British history. She was young and sheltered. Yet, Victoria proved them all wrong with her strength and determination. That would be amazing to witness! If you could step inside any book or series and live there for a week, which would you choose? My own—the Dragon Knights of Urquhart! If a fairy godmother appeared and offered you one thing—anything at all—what would you request? To heal all those in great pain. I share that desire. Now, it’s time to learn some of your favorites! TV show: The Highlander (Adrian Paul). It’s an old series, but remains my favorite. Conn fought the bolt of desire spearing a path throughout his body. Her touch spoke volumes—an invitation to taste. Never had he longed to kiss a human like this wee lass. His heart beat loudly, and he found himself unable to move. She was a Goddess of the moonlight. It danced off her face and hair, and he trembled before her. Ivy’s fingers traced down his cheek and across his lips. He was helpless to contain the growl that escaped from his mouth. The rush of passion overtook him, and Conn slammed the door on his mind. Grasping Ivy around the waist, he hoisted her up on top of the bridge. Her lips parted on a sigh, and he lowered his mouth to feast on something he dared not take. The first brush of her soft lips against his own ignited a hunger he could no longer contain. Taking her moan deep into him, Conn glorified in the sensation of her mouth—one filled with a honeyed sweetness. The Fae warrior became just a man for the first time. Something primal burst within him. Emotions he had never felt left him dizzy, spiraling to a physical plane. He craved them all. His lips seared a course down her neck, to her throat, and then recaptured the velvet warmth of her mouth. Thanks so much for joining me today, Mary. All the best with your new release! Welcome to another Medieval Monday. 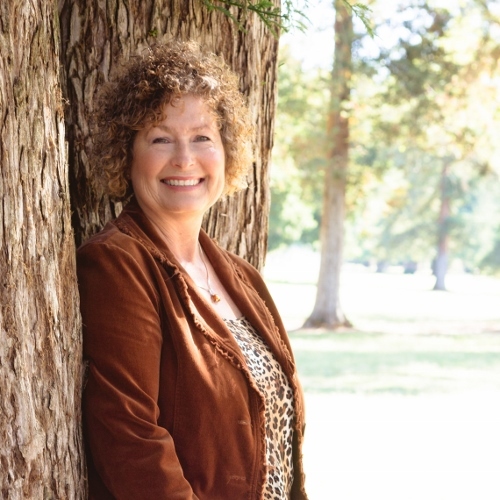 Today, I’m thrilled to have Mary Morgan as my guest! Let’s discover why she loves writing medieval. I’ve often been asked this question, “Why Medieval romance? 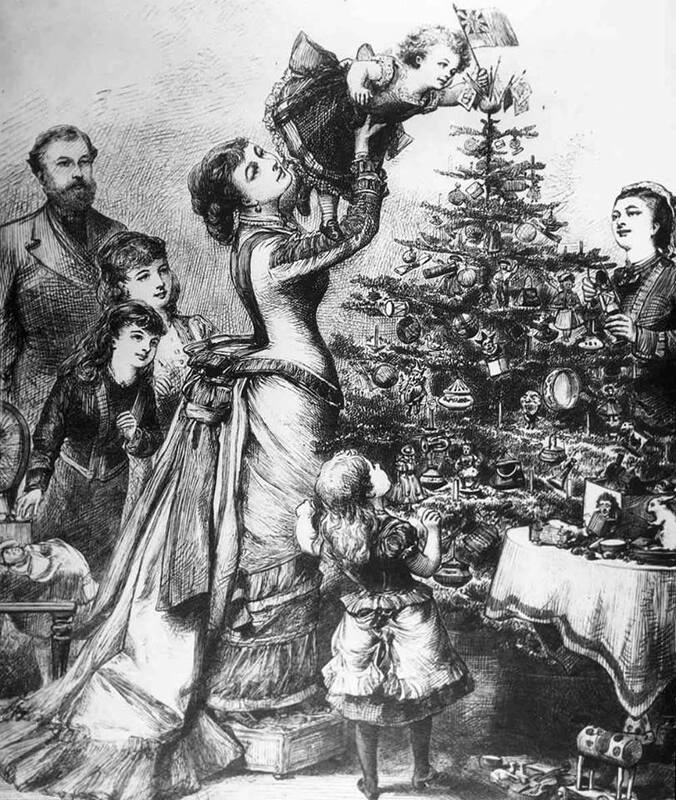 Why not Regency, Victorian, or Western?” In truth, I love them all, but my heart belongs to one. It started when my fingers opened a book about the great Irish King, Brian Boru (941-1014A.D.). His story is legendary, especially with the people of Ireland. King Brian led the Irish to the peak of their Golden Age—from poetry, arts, saints, and scholars. A spark ignited within my soul for more. I sought out tales of knights in shining armor and folk heroes, delving into a life teeming with richness, though at times harsh and violent. Yet, it wasn’t until I devoured the history of Brian Boru that I became immersed in medieval life. From there, I treasured tales of life in castles, traveling on horseback, studying foods and herbs. My list is endless and always growing on medieval ways. Yes, there are even days when I long to travel back in time and explore the history, lore, and beliefs. Therefore, when it came time to pen my own stories, it only made sense for me to place them all in a medieval setting. One might say I live vicariously through my characters. It’s a love affair with all things medieval. California, with her own knight in shining armor. However, during her travels to Scotland, England, and Ireland, she left a part of her soul in one of these countries and vows to return.